Today we depart on our basketball adventure to Belgium, France and England. The next 8 days will offer and amazing opportunity to travel the world, compete internationally in basketball and learn about the sport of basketball in each country we visit. Sit back, get some rest and enjoy the in-flight service. Tomorrow we arrive in Brussels! Upon our arrival we are greeted by our tour guide and begin with a tour of historic Mechelen. Mechelen was at one time the capital of the Netherlands and today it is a vibrant town mixing trendy and traditional. After the tour we are transferred to our hotel before we take part in a light training session. After breakfast at our hotel, we enjoy sightseeing and shopping in Belgium’s capital city and largest city, Brussels. Our first stop is a visit to detailed architecture of Old Town Square and the Grand Place, one of Europe’s most famous squares. Next we visit the Royal Palace and the historic statue, Manneken Pis. With its deep history and contemporary city feel, Brussels offers many attractive sights and great shops for you to enjoy during your visit. After our time of touring we return to our hotel for a pre-game meal and then to the arena for our first game. After the game we have time to meet with and get to know the team we just played before we transfer to our hotel for our overnight. Today we tour Bruges which is the largest city in the province of West Flanders. Known as a historic trade center, Bruges became one of the first locations for tourism in the early 20th century. We will see the Historic Centre of this city, a notable World Heritage Site of UNESCO filled with gothic architecture from the medieval time period. Next, we will visit The Markt and its variety of shops before a tour of the Bruges waterway and a visit to the Basilica of the Holy Blood. After our time of touring we return to our hotel for a pre-game meal and then to the arena for our second game. After the game we have time to meet with and get to know the team we just played before we transfer to our hotel for our overnight. After breakfast we depart Brussels and travel to the most renowned city of France, Paris. Historically known as a center for learning and art, Paris serves as a prominent location in the world for business, education, science, fashion, media, and the arts. Behold the craftsmanship of Gustave Eiffel’s 1889 World’s Fair masterpiece and one of Paris’s most iconic symbols, the Eiffel Tower. Take in the city on a guided Seine River cruise, and visit the Arc de Triomphe, the Notre-Dame Cathedral, the Louvre Museum, and the Luxembourg Gardens. Once this day of touring is completed we will travel back to our hotel in Belgium. Today we enjoy a restful morning and breakfast before our trip to Antwerp, Belgium’s second largest city. Located on the Scheldt River, Antwerp serves as one of Europe’s largest ports and as a center in the diamond industry. We will visit the Central Station, a neo-Baroque memorial built by Leopold II in honor of the railway age and then visit the Plantin – Moretus Museum which holds the two oldest printing presses in the world. This afternoon we visit the heart of Antwerp’s old city with a visit to the Grote Markt. After our time of touring we return to our hotel for a pre-game meal and then to the arena for our third game. After the game we have time to meet with and get to know the team we just played before we transfer to our hotel for our overnight. Following an early breakfast we will depart for London by EuroStar. Upon arrival in London you will be taken on a tour of England’s capital and largest city to see its many magnificent sights. Your tour will include visits to Westminster Abbey, Big Ben, Windsor Castle, Harrods, and the changing of the guards at Buckingham Palace. Enjoy the cities shopping and culture before visiting Queen Elizabeth Olympic Park, the site of the 2012 London Olympics. Once this day of touring is completed, we will travel back to our hotel in Belgium. We say good bye to Belgium and transfer to the Brussels airport to begin our journey home. Be the first to hear about our tours and deals. 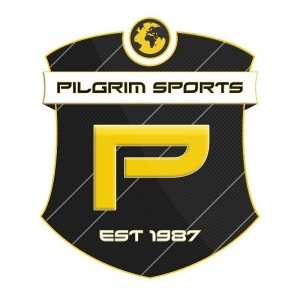 4 years ago by pilgrim_sports Excited to launch #pilgrimsports and provide international athletic travel to coaches and teams. 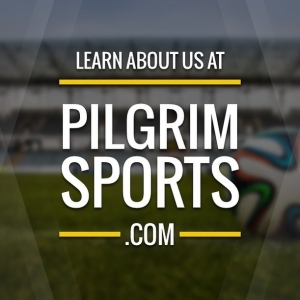 A leader in custom international tours for coaches, athletes, and sports fans worldwide. © Copyright 2017 Pilgrim Sports. All Rights Reserved.